I'm very excited to be shedding Christmas and sharing some Valentine's projects over on Lori Whitlock's blog today! I thought it would be fun to make some treat boxes for my daughter's Valentine's Day gifts that I "surprise" them with each year. Lori has so many (MANY) clever cutting files in this department that it was hard to narrow it down to just two! For my first one I used her Heart Window Purse cutting file, using Doodlebug's super fun "Sweethearts" patterned papers and a leftover piece of acetate for the window. To create a border along the bottom that followed the curve of the folded box, I duplicated the shape and used my knife tool to cut away the top portion approximately 1/2" from the bottom. Afterwards I just created an offset of approximately .02 so that it would have a little extra room to go over the thickness of the original box. It worked surprisingly well and was so much easier than trying to maneuver my paper around the angled shape later. 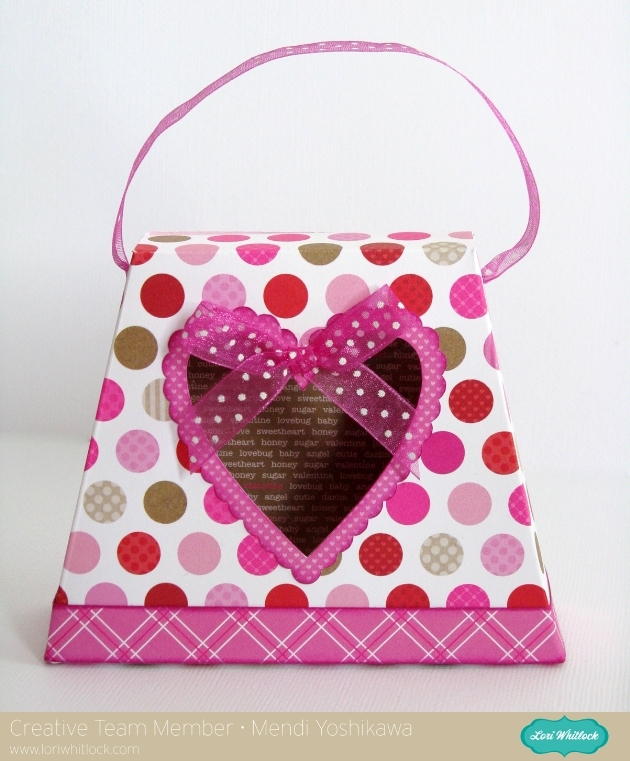 For my second treat box I used Lori's adorable Heart Lid Box. I kept this one pretty straightforward and had fun embellishing it with rhinestones and ribbon. Another absolutely cute project. I continue to be amazed at your creativity. 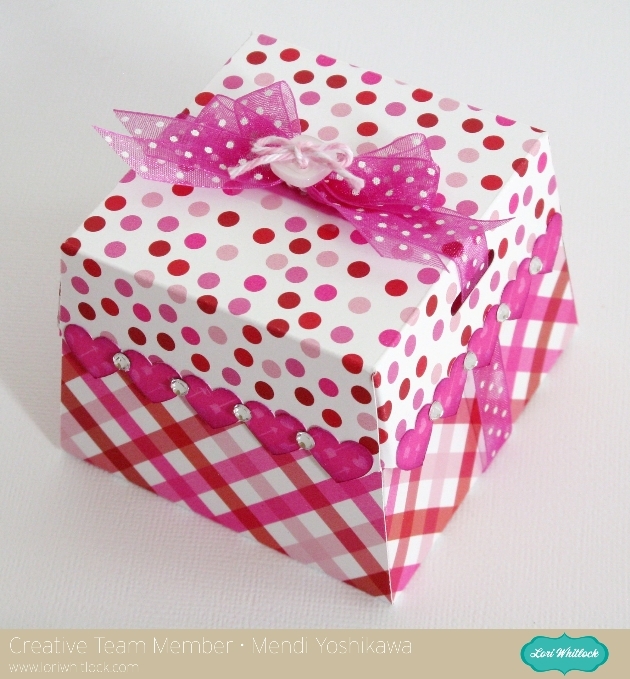 WOW gorgeous boxes and perfect paper choice!! Love these so much! What will you put in them for the girls?